Bois du Dauphiné is a famous French sawmill company located in well-known Alpine industrial city, Cheylas. Covering more than 50,000 square meters, Bois du Dauphiné has averaged an annual output of more than 150,000 square meters of softwood logs to France and neighboring European countries since 1983. Missions Due to the flammable nature of wood, Bois du Dauphiné fell victim to numerous fire incidents in October 2009. The sheer magnitude of the losses they suffered led them to think the importance of emergency management. At the end of 2010, Bois du Dauphiné set out to increase security measures and raise the quality of their surveillance equipments such as network cameras and video recorders. After careful research, they chose QNAP’s Linux-based NVR products because of their ability of supporting high video resolution and remote monitoring. They expected to leverage the new system’s advantages to increase the security of their logging logistics from sawing, production, to delivery. Because the end users are non-technical personnel, Bois du Dauphiné emphasized the need for a surveillance solution that is easy to install, use, and maintain. Bois du Dauphine put in place 20 VIVOTEK IP cameras to cover the sawmill. Coupled with QNAP VS-5020's support for megapixel resolution, these cameras clearly display their respective views in great detail. More impressively, the users can remotely view, record, and playback the videos from 6 different sites. Moreover, Bois du Dauphine can set up control centers in different worksites and monitor and playback the videos of the IP cameras in the mill remotely. The VS-5020 also allows remote monitoring and video playback of the IP cameras via QNAP's VMobile network surveillance application. By simply installing the app on any iPhone, iPad, iPod touch, Android phones, or Windows PDA, they can view the live video of the production line anytime, anywhere. In the first stage of the project Bois du Dauphine installed 20 IP cameras. They planned to increase the number of IP cameras in the mill in the next 1 to 2 quarters. 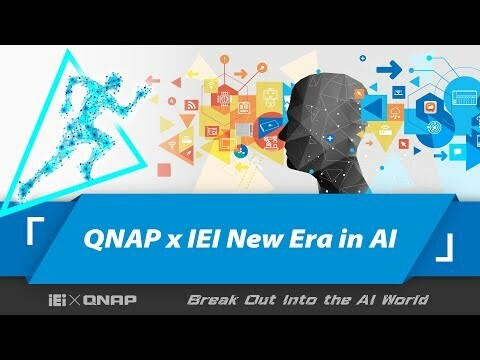 QNAP's remote-end software feature "Multi-server monitoring" can manage multiple NVR servers with just one software interface, which means that users can flexibly monitor various QNAP NVR models as well as different brands of network cameras without installing extra software at no additional cost. This feature provides excellent scalability. 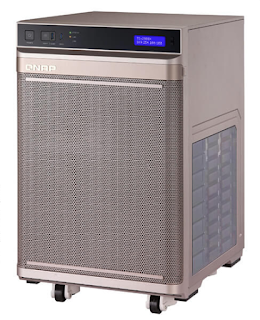 The possibility of implementing new NVRs within the same management interface gives clients more confidence in staying with QNAP in the future. CONECTIS is the largest distributor in France for cabling systems and networking equipment. CONECTIS is a private owned company, part of the REXEL group, worldwide leader for the distributor of electrical equipment, with subsidiaries in most European countries. Rexel, a global leader in the distribution of electrical supplies, serves three main end markets: industrial, commercial and residential. The Group operates in 36 countries, with a network of some 2,200 branches, and employs 28,000 people. Rexel's sales were €12.0 billion in 2010.